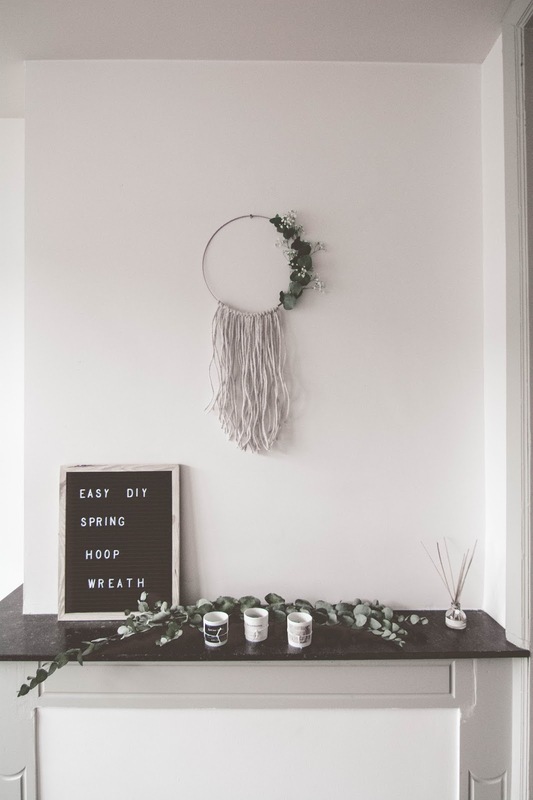 I recently tried making my first hoop wreath using eucalyptus and a metal hoop that I spray painted. 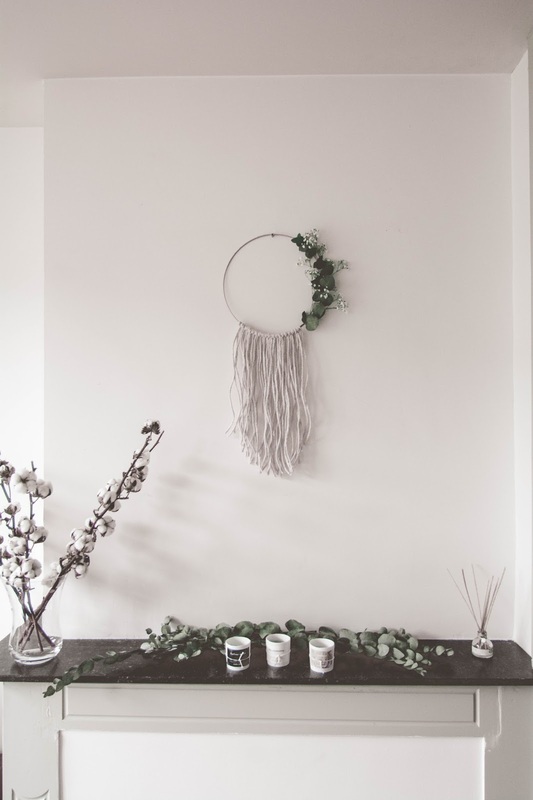 I really love how modern and minimalist this kind of wreaths looks and I wanted to create my own as I figured it couldn't be that hard. 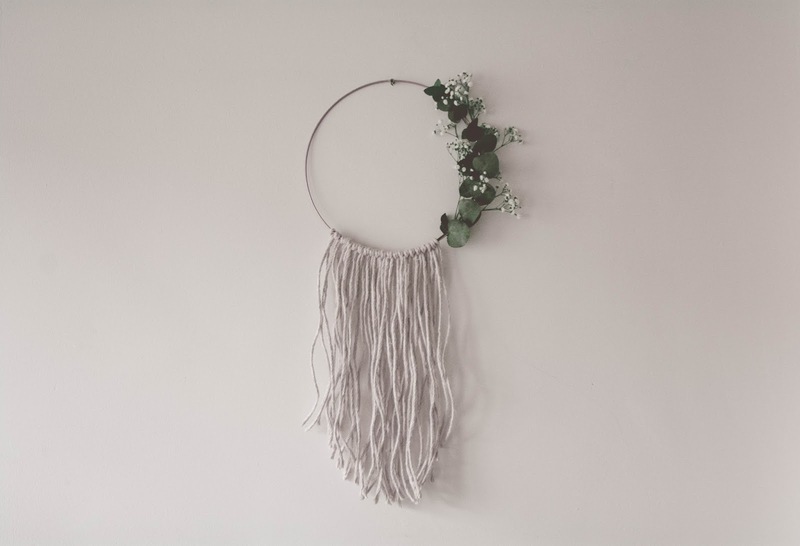 Most tutorials that I found were using fake plants and flowers that were hot glued onto the hoop. I don't like fake plants so I just used my favourite plant in the world which happens to look amazing when dried: eucalyptus! 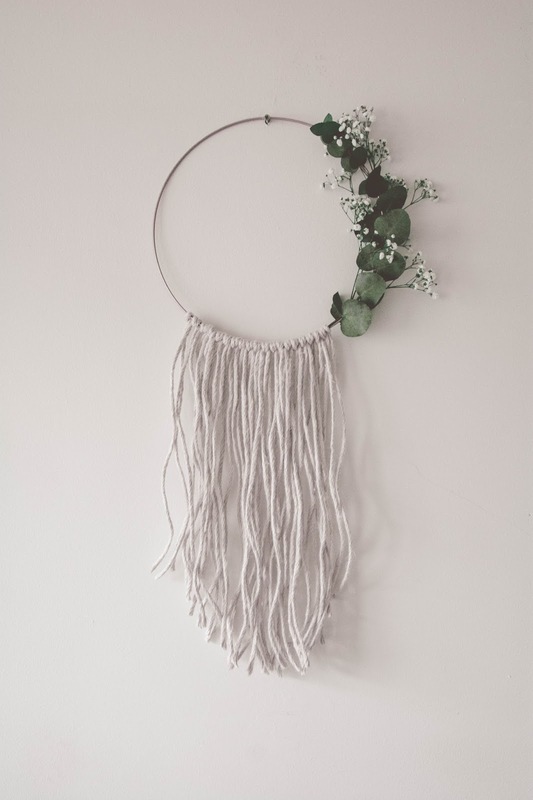 For the flowers I used a flower that the flower market man told me would look good when dry, so if you want to make it for yourself and you'd like to keep the wreath for a long time I'd advice you to pick flowers that look pretty when dried as well. I filmed the whole process and you can watch it in my video at the end of this post! You can always like and comment on the video as well. Thank you so much and I hope you enjoy watching it!